Deus Ex's designers have borrowed successfully from the X-Files school of storytelling -- a long, overarching story line broken into smaller episodes -- to make a game that will keep you occupied for many hours. As an agent for an antiterrorist coalition, your goal is to ferret out and retrieve a purloined plague antidote. 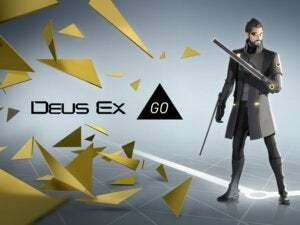 You can play Deus Ex as a shoot-'em-up or as a sneakier game, avoiding guards instead of blasting them into their component electrons. The choices you make throughout the game -- even trivial ones -- affect how the plot continues. The graphics are good, there is plenty of gadgetry, and the levels are large -- but the compelling story line is what makes Deus Ex a truly great game.